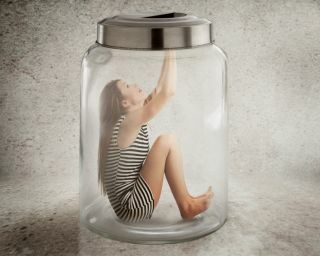 Does Anxiety Have You Trapped? Psychologists call the tendency to zoom in on what we believe to be true confirmation bias, which becomes a dangerous path if we’re analyzing during peak anxiety moments. Beliefs born out of anxious moments can catapult us into an avalanche of messy cognitive distortions and self-sabotage. Trap # 2: You bolt. The quick exit is so tempting when things go awry. Research overwhelming affirms that difficulty can build grit and stress resistance. Even though the instinct to give in or escape discomfort may be intensive, it’s wise to try and buy time and reevaluate once the anxiety has subsided. Very often, after a regroup, we identify new solutions and tools that make a huge difference in ability to navigate anxious moments.